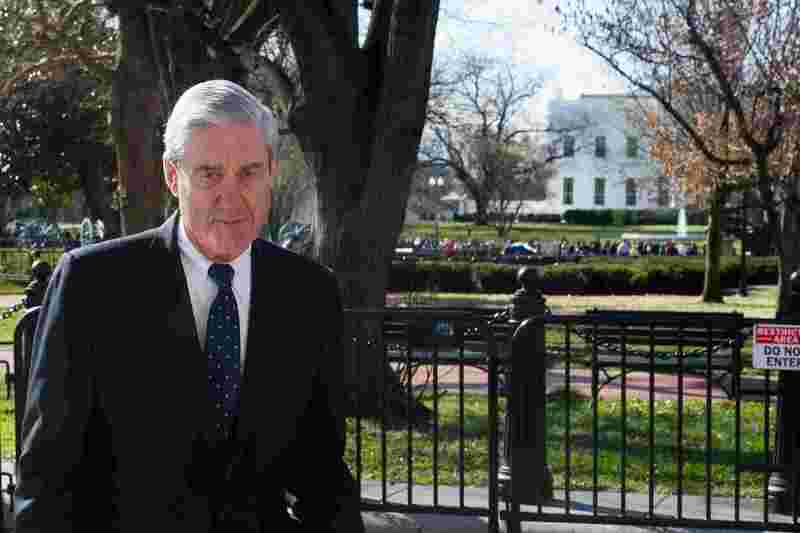 Special Counsel Robert Mueller found no evidence of collusion between Russia and the 2016 Trump campaign, but the report "does not exonerate" President Trump on obstruction of justice, according to Attorney General William Barr. Some criticized the mainstream media's original reporting on the issue, which many say was overly biased against Trump. Others expressed doubt at the report's conclusions, emphasized that the president was not exonerated on obstruction, and have implored Attorney General William Barr to release the report in its entirety. Check out some other big stories this week: Green New Deal Dies in Senate, Michigan to Stop Funding Adoption Agencies That Bar LGBT Couples, and Trump Admin Backs Court Ruling That Would Invalidate Obamacare. "In a letter sent to leaders on the House and Senate Judiciary committees on Sunday afternoon, Barr wrote that Mueller determined there was no coordination between the Trump campaign and Russia in attempts to interfere in the 2016 presidential election." "Mueller 'did not grat a conclusion — one way or the other — as to whether the examined conduct constituted obstruction,' Barr notes in his letter to Congress. He noted Mueller's office laid out evidence 'on both sides' of the question as to whether Trump committed a crime." "As the Senate Judiciary Committee’s Republican chairman called for an investigation into the origins of the probe of any Trump campaign links with Russians, the Senate leader blocked a second attempt by Democrats to pass a measure aimed at pushing the Justice Department into full disclosure of the report." "Mueller claimed he could not 'exonerate' the president of obstruction. But prosecutors never exonerate. It is not a phrase an honest prosecutor without an agenda would use. Prosecutors simply decide whether or not to indict. The exoneration statement was Mueller’s (and probably Weissmann’s) final poke in the eye to President Trump and a consolation prize to Democrats, who can now claim that because the President was 'not exonerated,' he must be guilty." "Attorney General William Barr told Congress Sunday that special counsel Robert Mueller did not find collusion between the Trump campaign and the Russian government, destroying two years of media speculation and bad reporting. "So, while the latest left-wing lie – Trump-Russia collusion — is now exposed, there is little to cheer about. Without missing a beat, the Left — the Democratic party, the media and academia — will move on to another lie." "Mr. Putin did have a clear favorite. He interfered on his behalf, and his favorite was elected president. Trump campaign officials knew about this and were more than happy for the help. Then they lied about receiving that help. This isn’t so complicated. And while Mr. Mueller may not be able to do anything about it, Congress, and the American people, certainly can." "The only thing that Barr’s summary of Mueller’s report tells us for sure is that Mueller could not establish a 'tacit or express' agreement with the Russian government as fact. That is, he did not feel he could prove it in court. This does not mean Mueller found no links between the Trump campaign and the Russian government’s actions." "Taken as a whole then, the Mueller report, which has hung over Trump's administration like a dark cloud promising rain for 22 months, did the opposite of what many people expected: It provides Trump with a neutral -- and credible -- source that, largely validates the mantra of his presidency: No collusion."